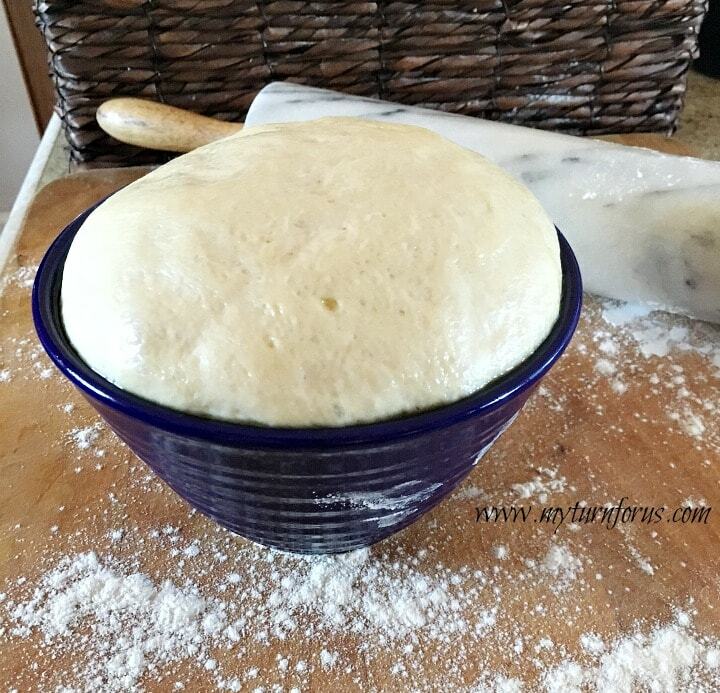 How to make Stromboli using our homemade stromboli dough. 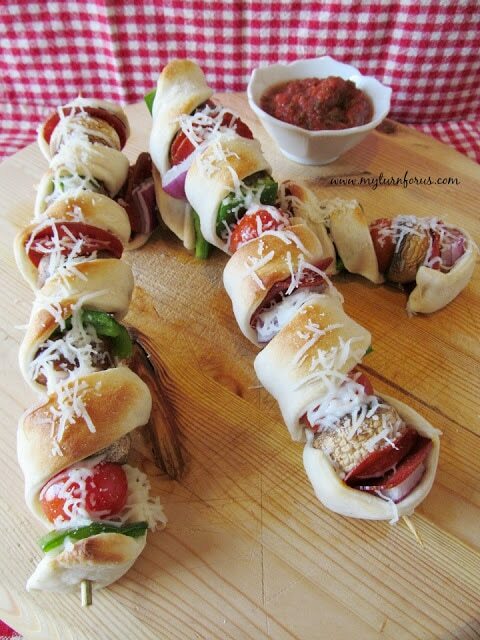 This Italian Stromboli recipe makes a delicious pizza stromboli using your choice of toppings. This post may contain affiliate links which means if you purchase we might receive a small commission at no additional cost to you. I remember years ago when I lived in California, one of my friends flew with her new boyfriend to New York to visit his Italian family. She returned and told us about the most awesome loaf of bread that his mother had made that was filled with Italian red sauce, meats, and cheeses. Immediately I began searching for this dreamy loaf and that’s how I discovered how to make stromboli. I know, I was a little late on the whole Stromboli scene, in fact, at that time I was limited to the entire Italian food scene. Italian food was missing in my childhood not having any Italian food restaurants or friends in the small West Texas town where I grew up. We grew up with southern food and Mexican food but Italian food was limited to spaghetti or pizza. Now even though I still love Mexican food, my first choice is Italian. 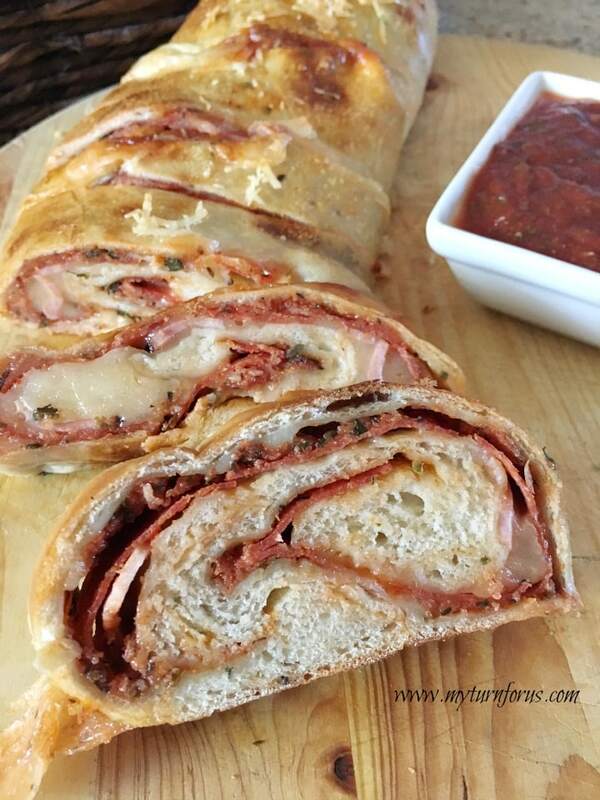 This Italian Stromboli is made from my homemade stromboli dough, I use half the dough for each loaf so you can either make two loaves or wrap the other half in clear wrap and save it in the fridge for a couple days for a quick pizza. 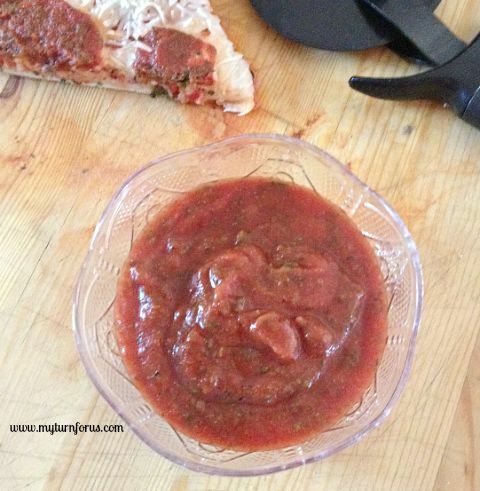 I used a homemade Italian red sauce, you could use a jar sauce but this recipe for homemade is easier, cheaper and can be whipped up in minutes and has an awesome flavor. 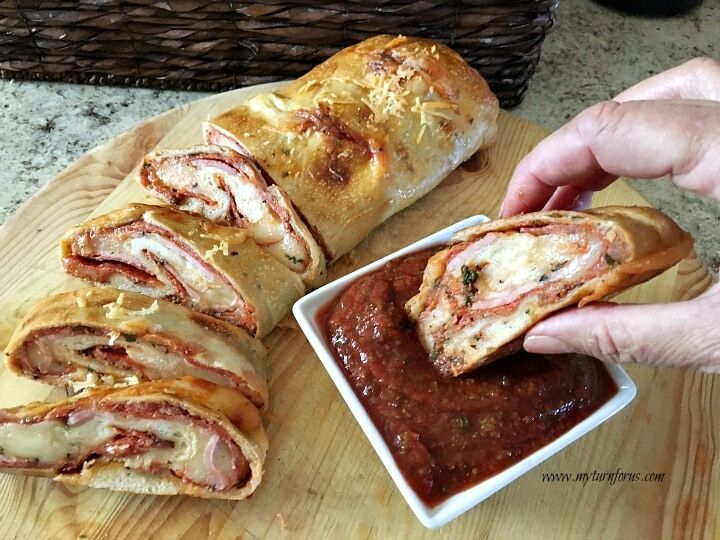 And this Pizza Stromboli is totally on the menu this weekend and I am also thinking about making another one with basil pesto instead of the red pizza sauce. We are still working on which other ingredients would be delish in it. So if you have any suggestions, please feel free to let me know. I hope you enjoy this Homemade Stromboli as much as we have. Preheat oven to 500 degrees and line a rimmed sheet pan with parchment paper allowing the paper to extend over the long sides of the pan. Using your rolling pin, lift the rectangle of dough onto the sheet pan, allowing about two inches to extend over on one side and the other 1 inch on the other side. Spread some of the Italian sauce in a thin layer over the stromboli dough leaving a 1/2 inch border on the ends and a 1 inch on one of the longer sides and a 2-inch border on the other side. Pour the remaining sauce in a bowl for dipping. Sprinkle with 4 ounces of the grated mozzarella cheese and top with pepperoni and/or ham and the other toppings of your choice. 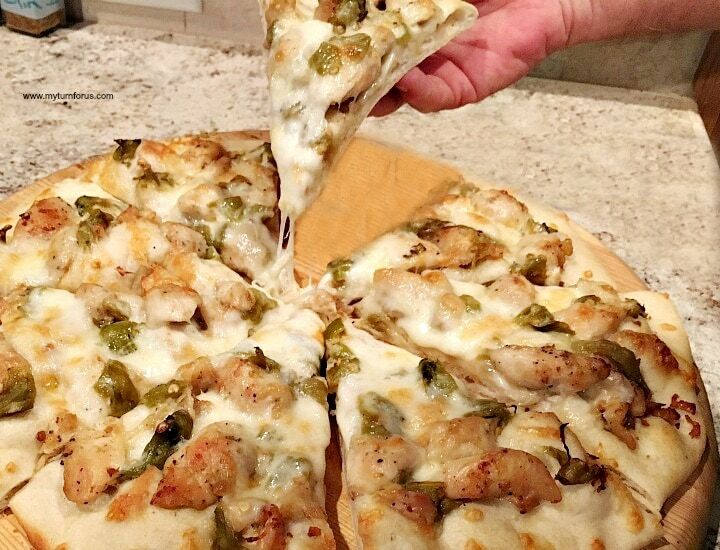 Sprinkle with 4 more ounces mozzarella cheese. In a small bowl whisk the egg and water together and brush the outer edges of the stromboli dough with this egg wash. Starting from the long side where you left the 1-inch border, use the parchment paper to roll the dough about 1/2 of the way. Grab the other side of the parchment paper and roll to fold it completely over. Make sure your seam is sealed by the egg wash, you can do this by pressing gently together. Then gently roll so the seam is on the bottom, tuck in the ends so the egg wash seals both ends. By gently using the parchment paper, position the Stromboli in the center of the pan. Brush the entire Stromboli with egg wash and make diagonal slits for venting. Place in oven and bake for 10 minutes, reduce the temperature to 375 degrees and continue to bake for 10-12 minutes checking often. Remove from oven and sprinkle with parmesan cheese and allow to cool for 5 minutes before slicing into 1 to 2-inch strips. 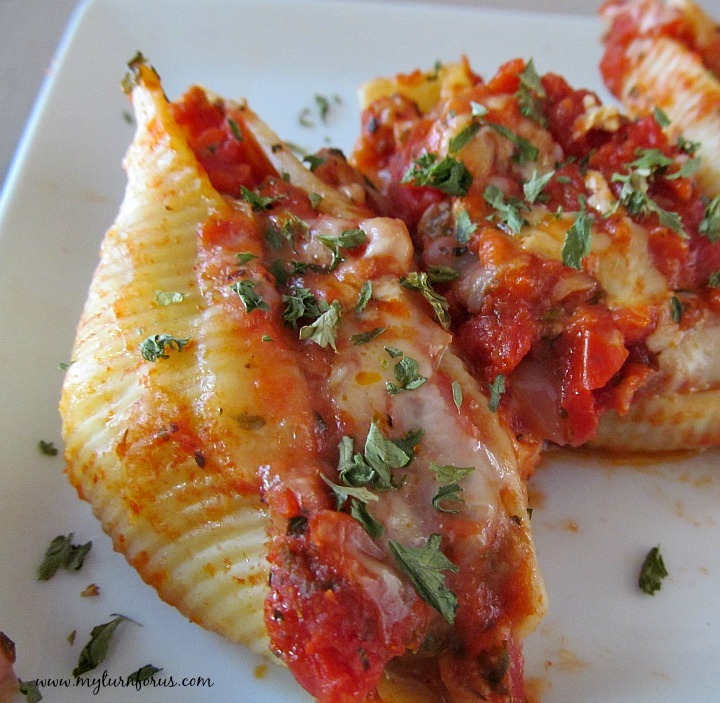 Serve with warmed Italian sauce for dipping. Stromboli is always a favorite here – and it's been awhile since we've made it! 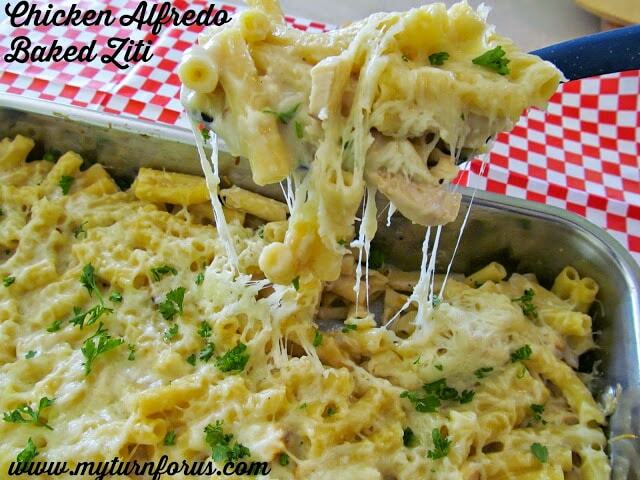 I think this needs to go on our menu soon! I love stromboli. There was a place near my father's job that we use to get them from as a treat.